Calling it ‘India ka Smartphone’, the JioPhone is one of the few feature phones to come with 4G VoLTE support. 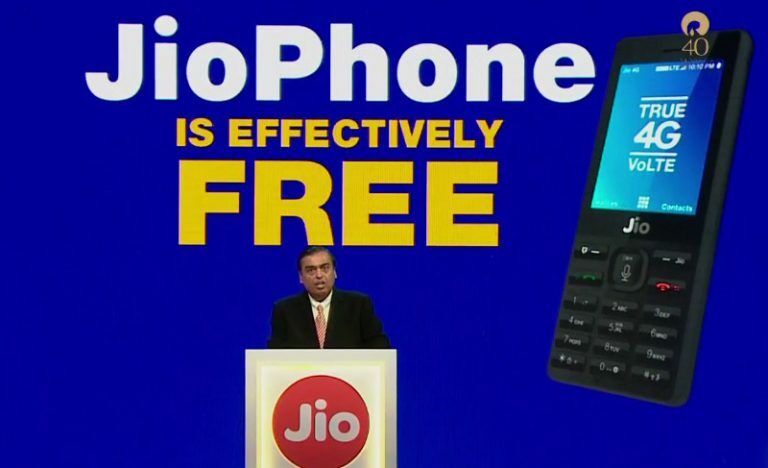 Mukesh Ambani says, “JioPhone will make the 2G feature phone obsolete.” While there are already other feature phones that come with 4G support, none have been as affordable as the JioPhone, which is priced at an “effective cost” of Re 0. It comes pre-loaded with Jio Music, Jio Cinema, and Jio TV. You can long press ‘5’ in the keypad to call emergency number so your location including GPS data goes to your emergency contact. 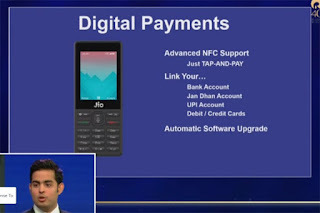 It also has NFC support, and tap-and-pay payments through UPI, credit and debit cards will be enabled through a software update. 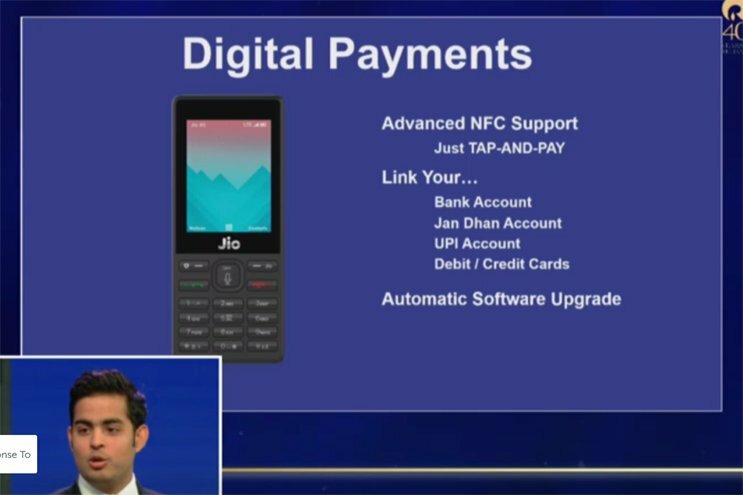 NFC Payment coming to JioPhone later this year. JioPhone with Voice & Data Unlimited Free and Jio Apps with Rs.153 Plan and it will available from 15th August. Daily High-Speed Data Limit in this Plan is 500MB / Day.JioPhone TV pack for Rs. 309 that lets you watch Jio TV on any TV, including non-smart TVs, says Jio. There are Rs. 54, a week and Rs. 24 2-day sachet packs for those who can’t go for monthly packs. 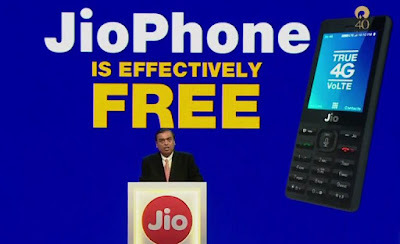 The JioPhone is effectively free for Rs. 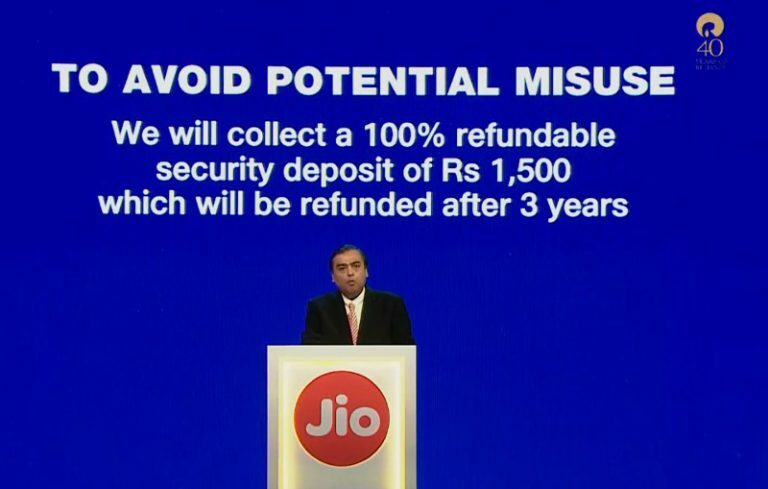 0, Jio will collect Rs. 1,500 fully refundable deposit, which will be returned after three years. 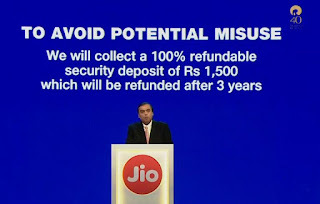 JioPhone beta testing will begin from August 15th and the pre-booking for everyone through My Jio app and Jio retailer will be available from August 24th and shipping will begin in September on first-come-first serve basis. 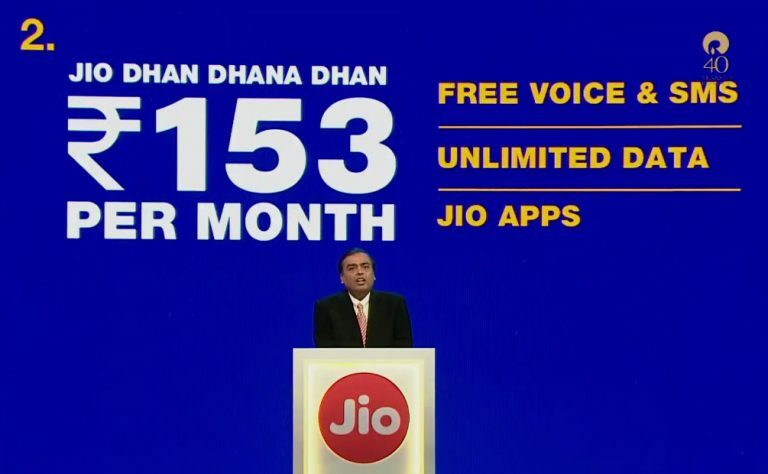 Jio expects to roll out 5 million JioPhones a week and the phones will be ‘Made in India’ from Q4 2017. No whatsapp, no Jio phone.